Analyze, enhance, and share your rich information with ease, precision, and professional results, all while utilizing just one integrated application. 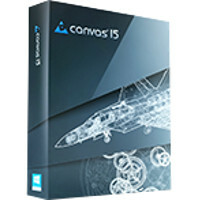 Canvas 15 is all you need. Canvas allows engineers and technical graphics professionals to illustrate and communicate with confidence. Canvas’ minimum precision levels and powerful object illustration and image editing tools ensure that the accuracy of your data is maintained right through to publication. Accelerate and streamline your technical illustration workflow from initial import and design to final presentation, facilitate collaboration, and improve your overall productivity with this complete technical illustration software solution.